On the eve of the presidential debate, we are reminded of the crisis in leadership that presently exists in this country. Statements no doubt prepared by expensive consultants and approved by Wells Fargo’s leadership team. America’s Most Valuable Bank is a title Wells Fargo will no longer hold as the revelation that thousands of their employees were creating bogus checking and credit card accounts in order to meet their strict and unrealistic quotas the only way possible – by cheating. This fraudulent practice has been going on for years. Over two million fake accounts were created and, as a result, over 5000 people were fired. Clearly this scandal reveals cultural and management problems at Wells Fargo. There are lessons to be learned from this crazy story, and one is: The Misuse of Metrics. With over two million accounts opened, and no further activity on those accounts, the only metric that mattered was opening accounts. Where was the compliance monitoring? Best said by Senator Elizabeth Warren who challenged Wells Fargo’s CEO John Stumpf at Banking Committee Hearing. Let’s also consider Mylan’s CEO Heather Bresch who testified in front of the House Oversight and Government Reform Committee. The price of the device, used in emergencies to treat severe allergic reactions, has increased more than 500% since Mylan acquired it in 2007. Let’s model real leadership for our children. Hopefully their generation won’t play a game of words. We can do better; we must do better. The phrase ‘boys will be boys’ has become synonymous for men getting away with unsuitable behavior such as the the ever-changing story of the alleged Rio robbery of four Olympic swimmers — Ryan Lochte, Gunnar Bentz, James Feigen, and Jack Conger. I do not regret having apologized. No apologies from [Lochte] or other athletes are needed. We have to understand that these kids came here to have fun. Let’s give these kids a break. Sometimes you make decisions that you later regret. They had fun, they made a mistake, life goes on. That was the only negative story to come out a country that had a dangerous image prior to the Olympics. Why give them a pass, and not even require an apology? This is not a case of boys will be boys. But there are cases where boys should be boys, such as five-year-old Omran Daqneesh who was photographed sitting dazed and bloodied in the back of an ambulance after surviving a regime airstrike in Aleppo highlighting the desperation of the Syrian civil war. He should not be covered head to toe with dust and disoriented. He should be playing with other kids his age, and I have to believe that is what the term boys will be boys was originally intended to convey. Ryan Lochte can wordsmith the event all he wants, but the rest of us have to stop making excuses and exceptions for athletes. They should transition from boys to men just like everyone else. Each week as the adults are talking about the current example of unimaginable violence, we worry about what to tell the kids. Instead of protecting them, share your values. Let them know how you expect them to treat others. As an example, this past weekend a friend was at a fast food restaurant with her 13 year-old son. She asked him to hold the table as she got the food. After they left, he began crying in the car and told his mom three kids called him an F… Slow Stupid Retard. He is autistic. The mom told her son the boys probably don’t have parents that teach them right from wrong. They may not be loved as he is loved. They simply may not know any better. But we do. 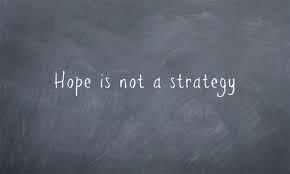 Hope is not a strategy, but decisive planning is. Don’t expect your children to learn kindness or empathy on their own. 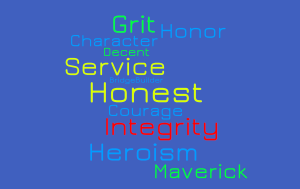 As their greatest and most important teachers, that is our job. We are being distracted by things such as Pokémon Go. We have to be careful or the cult film Idiocracy will be our future. The good news is that when children are born, they don’t know the hate or prejudice that are the root cause of our problems as indicated in the lyrics below from South Pacific. Perhaps, we’ll get lucky and the parents who would teach hate and fear will be too busy playing Pokémon Go. Hoping for an uneventful week. As the second in our series, this week’s focus will be on gratitude. According to Cicero, “Gratitude is not only the greatest of the virtues but the parent of all others.” Interesting that in America we have a holiday dedicated to being thankful. Does that imply that all other days we are not? With all values, our goal is to form a habit. Geoffrey James explains gratitude as, “an emotional muscle,” one should use so it is strengthened. People who approach life with a sense of gratitude are constantly aware of what is wonderful in each day, and take nothing for granted. They take time to see a child’s smile, acknowledge a stranger’s kindness or appreciate the cool summer wind. This TED Talk by Louie Schwartzberg called, Nature. Beauty. Gratitude. is the most beautiful presentation on gratitude that I have ever seen. Sharing this is my gift to you because it will change the way you think, and what you may have been taking for granted. As always, we model the behavior we want to see in our children. Though we intend to express gratitude, too often we put our daily tasks at the top of our list, and may simply run out of time. It helps us realize what we have, and lessen our need for wanting more all the time. Obviously they can’t do very much, but you can! One mom made her very own thank you notes with the baby’s handprint. Babies learn language at an incredible rate; so use the words ‘thank you’ often. This can be reinforced when your child makes gifts for family. “See how happy Grandma was to get the macaroni picture!” Ask them how it made them feel to see Grandma’s smile when she received it, and explain that is how Grandma felt choosing the sweater. This reinforces empathy. Every evening, ask your child to share the three best things that happened today. Again, great idea to create a child’s very own stationary. Consider putting all the supplies (cards, pens, and stamps, return address labels), which you can make also, in a plastic box with their name on it. Quality over quantity – even a one-line thank you is great. As they develop writing skills, have them create a gratitude jar. Leave sticky notes out so family members can thank each other. You can include a sticky note in their lunch box to thank them for being ready to leave the house on time. Think past notes and have your child call or even create a video. Encourage them to help without being asked at least once a day, and ask them to share what that was and how they felt. Create a gratitude picture board that could include family, friends, pets, and pictures of nature. By this time, they need to own ways they show gratitude. At the end of the school year, ask them which teacher made a difference and encourage them to send a hand written note. Donate time to help your school, church or a local shelter. I am thankful to each person that reads and comments on these posts. Be sure to like Parental Wisdom’s Facebook page and share stories where your child demonstrated gratitude. We’d love to hear from you, because we are all in this together! “So how am I doing?” That was a frequent question posed by Ed Koch, the popular three-term New York City Mayor. What a great question for parents! But how do you know how you’re doing? Is our goal to raise a straight ‘A’ student or a good person? The job of parenting is 24/7, 365 for the rest of your life. It includes a laundry list of skills you are required to learn that look something like this. But these are tasks, not the goal. Then I came across a wonderful quote by Michelangelo in his response to someone who asked how he took a slab of marble and carved such a beautiful angel. And I realized that was the answer! As parents, we need to see our children in the future, which is basically reverse engineering them into the adults we want to meet. 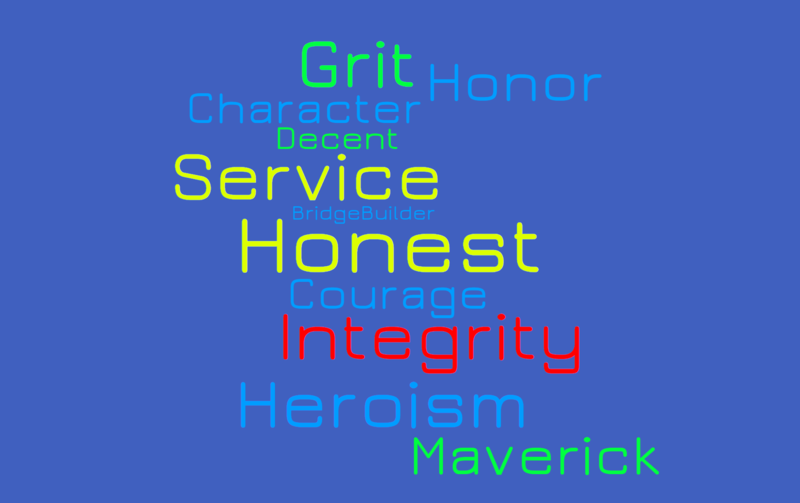 When I asked parents what values they want their children to possess, there was a response of over 400 qualities. Starting next Sunday, June 7th I will be sending out a weekly evening email focusing on one value such as empathy, gratitude and family. 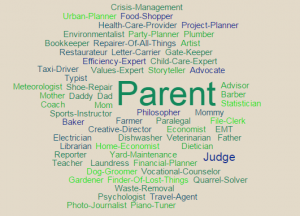 That week’s highlighted value will be reinforced on the Parental Wisdom® Facebook page giving parents helpful ideas and tips, such as capitalizing on car time, breakfast banter and dinner discussions. Being a parent can be unpredictable, but you can count on this email every Sunday night 9pm EST. Consider it your “big kid bedtime story,” and a great way to kick off your week. If you would like to receive the weekly email, simply signup here. Don’t forget to share your stories too; after all, we are in this together! 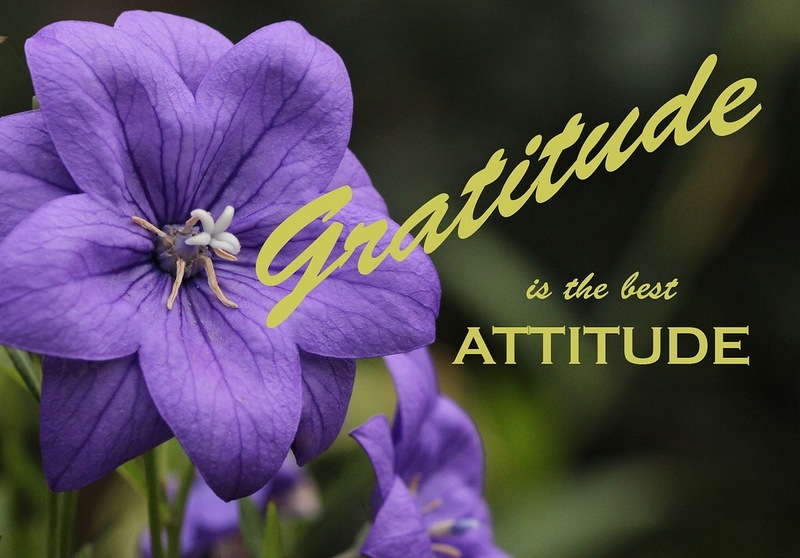 With Thanksgiving quickly approaching, I am encouraged by the year-round attention to being grateful. We no longer wait for Thanksgiving to give thanks! With all the benefits of being grateful, the best in my opinion, is how your own problems become smaller. If all our misfortunes were laid in one common heap, whence everyone must take an equal portion, most people would be content to take their own and depart. Keep a journal and take a few minutes each day to write down something to be thankful for. Whenever you can, express your gratitude in person. Treat others with the same level of attention and respect you expect. Don’t complain when things happen. Brush it off and don’t give it any more attention. Do ‘good’ for others. That always makes you feel better. Our journey begins with a single step. Being grateful is the first step to being happy, and isn’t raising happy children our job? If I had one hour to save the world, I would spend the first 55 minutes understanding the problem, and the last five minutes solving it. The most important job in the world is also the one we are least prepared for. It’s thrilling the first time we hear we are about to become parents, and prepare by learning as much as we can before the baby’s arrival. Because Kids Don’t Come with Manuals® we quickly understand training is on the job; very much like a reading the recipe as the pot boils over on the stove. There is little preparation for the on the spot decisions you have to make. The most comfortable path is to do what you know, what your parents did, because after all you turned out ok. The national news surrounding the Adrian Peterson event moved him from anointed celebrity to condemned criminal. Companies such as Nike and Castrol pulled major endorsement deals. The NFL was paralyzed in forming a response. 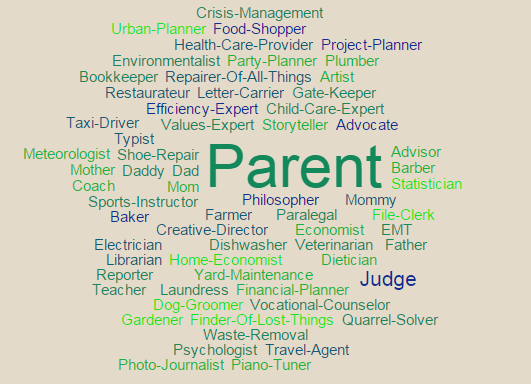 How parents should parent was a topic on news programs, along with culture, geography, and religion. It’s easy to (pardon the pun) be a Monday morning quarterback and judge the way others parent. At the same time, there was an interesting article this week in the WSJ about a non-profit program called Parent-Child-Home which got a boost from the Robin Hood Foundation. Funds sent literacy specialists to visit families of young children in low income areas encouraging them to read to their children and not talk ‘babyese’. Both situations, although dramatically different, are similar in the sense that parents simply do what they learned from their own parents. It is important to begin a national conversation on parenting. Share research on long term impact, whether it is reading to children or corporal punishment. Help parents understand they don’t have to do what has always been done, but can make choices how to parent based on their own values. Perhaps Nike and Castrol can move the money kept back for endorsements, and in its place fund this important dialog. In parenting, there is more than one right answer. The advisors at Parental Wisdom® would be happy to start the conversation. We believe in this so strongly, we patented it.